Which Actor Portrayed A Comic Hero That Was Modeled Directly After Himself? Tech Giant Hewlett-Packard's Name Was Decided By? Nick Fury, the fictional Marvel universe character created by Jack Kirby and Stan Lee, first made his appearance way back in 1963 in the comic St. Fury and His Howling Commandos. Over the years, he appeared in hundreds of comics, movies, and cartoons. Despite all these appearances, the character wasn’t modeled after any one particular actor or personality, but an amalgam of looks and personality traits. Mr. Jackson learned of the use of his likeness only after seeing the redesigned Nick Fury in the first issue of The Ultimates. 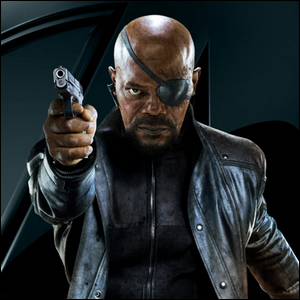 He then contacted Marvel in order to secure an agreement that he would portray Nick Fury in any upcoming films. He made his first appearance in cameo form in 2008’s Iron Man, appearing in a small post-credits teaser scene. In 2009, he signed a nine-picture deal with Marvel and has appeared in Iron Man 2, Captain America: The First Avenger, The Avengers, and other films in the franchise.